Speak to Azzanadra, south of the Eagles' Peak lodestone, and you'll embark on a cross-world odyssey to Freneskae - birthplace of the Mahjarrat. There, you'll uncover the entire history of Zaros - one of RuneScape's most powerful and enigmatic entities - from his birth right up until the present day. You'll find answers to some of the biggest questions in RuneScape's history, battle powerful foes and explore a perilous, alien landscape. Also, the decisions you make during the quest will directly affect Zaros's fate. Will you help him to return, or seek to hinder him? Fate of the Gods is a real treat for seasoned lore fans. Skill requirements are high, and there's a bundle of recommended quests, which will grant you additional rewards as well as giving further context to the quest's events. It's fully voice-acted too, so be sure to turn up your speakers or plug in your headphones when you play. Your reward will be swathes of XP in Magic, Divination, Slayer, Agility and Summoning, plus permanent access to Freneskae, where you'll find high-level combat and extra content after the quest is complete. There are additional XP lamps, a new teleport and two new cosmetic overrides to earn for completing the recommended quests and finding everything hidden in Freneskae. The Empty Lord returns. 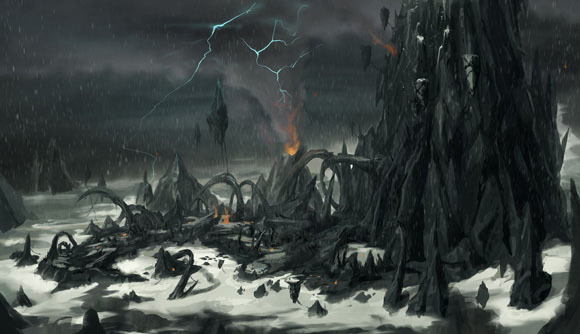 Decide where you stand, because Gielinor will never be the same! Speak to Azzanadra, south of the Eagles' Peak lodestone. You must be able to combat multiple level 160 opponents over several waves. Bring equipment that'll help you last - a beast of burden familiar would be useful. Completing the Mahjarrat Memories miniquest will grant you an item that may make it slightly safer to explore Freneskae, and will help you uncover an XP-giving secret.